Get to know the staff of the Empire's moon-sized battle station, destroying planets for another generation! In Return of the Jedi, Emperor Palpatine tried to lure the Rebel Alliance to its ultimate doom by taking command of the fully armed and operational Death Star II himself. 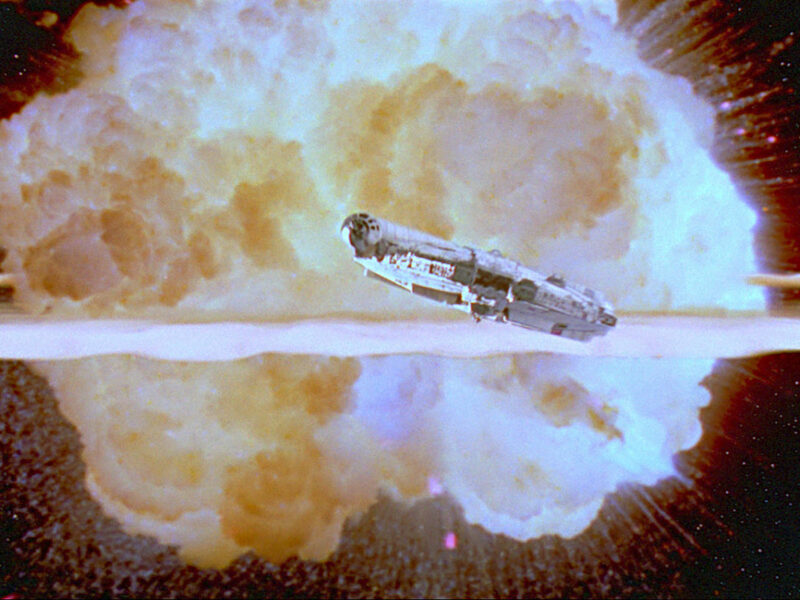 His plan didn’t exactly work out, and just like its predecessor, the second Death Star was destroyed by the Rebel Alliance. 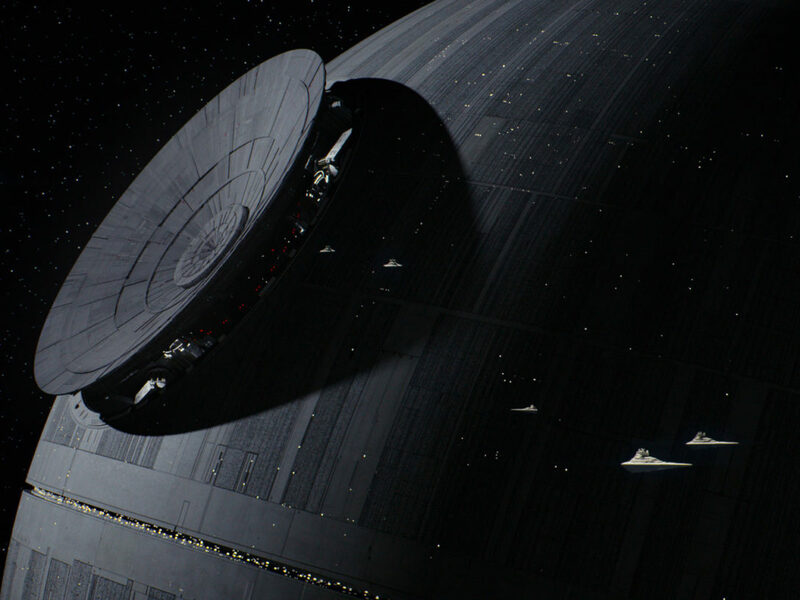 According to the “Death Star Ownership Manual,” the Death Star II was able to carry 485, 560 crew members, many of whom didn’t receive a name (luckily). 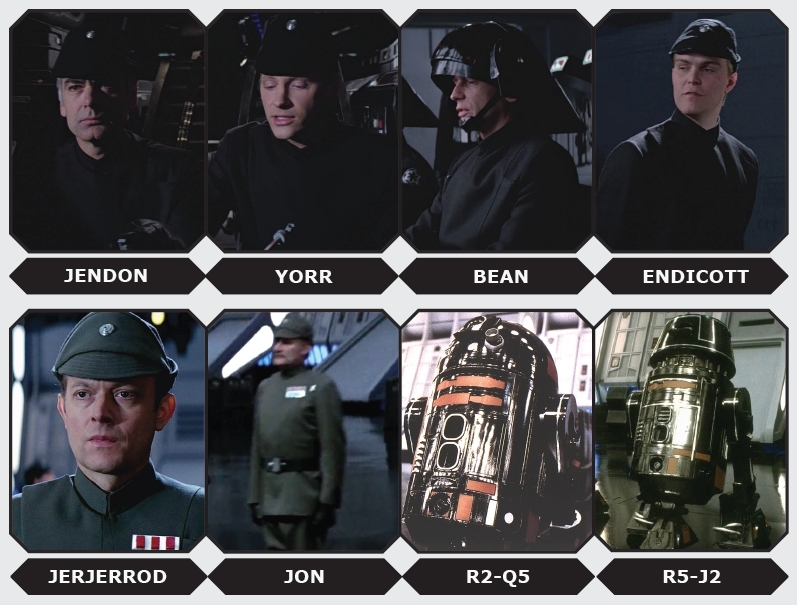 However, let’s meet the characters onboard that did get a name, as well as the Imperials who participated in the space battle above Endor. When Darth Vader arrived at the unfinished Death Star to check on its progress, his shuttle ST 321 was piloted by Captain Yorr and Colonel Jendon, respected Imperial test pilots. When Sergeant Jad Bean received confirmation of the shuttle’s clearance code, the deflector shield around the Death Star was disabled. Docking bay Lieutenant Endicott ordered Sergeant Bean to alert Moff Tiaan Jerjerrod (the Commander of the station) of Lord Vader’s arrival. Endicott, a graduate at the Academy of Carida, would later serve at Jerjerrod’s side in the Death Star control room during the Battle of Endor. 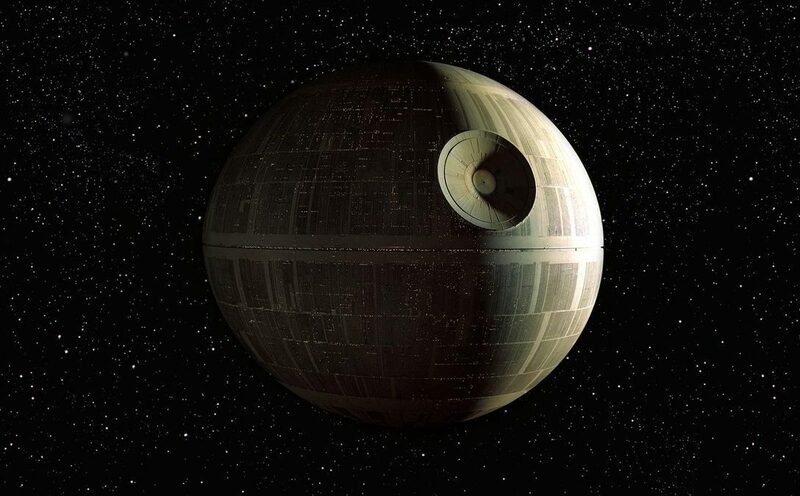 When Jerjerrod learned of the Emperor’s imminent visit, he immediately promised to double his crew’s efforts in order to meet the Death Star’s construction schedule. A small group of Imperial officers, TIE pilots, stormtroopers, and droids accompanied Jerjerrod as a small welcome committee for Vader. 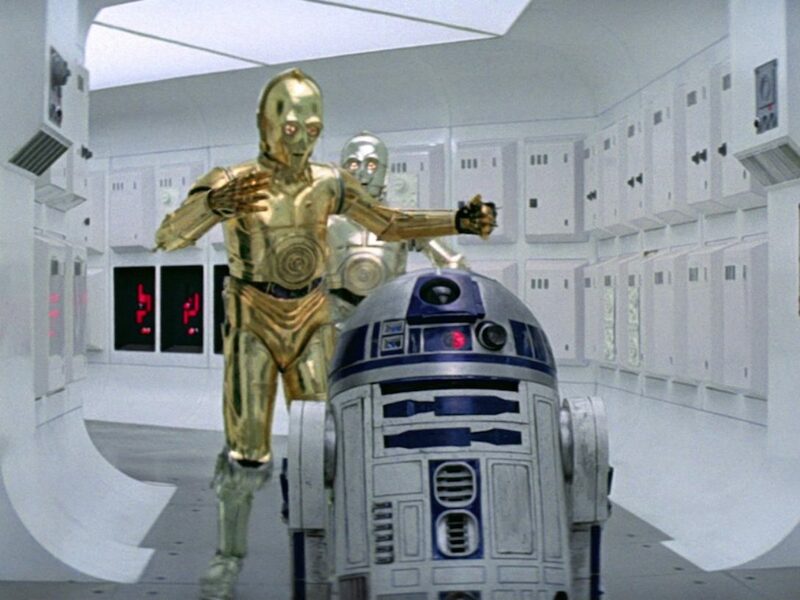 Silently in the background stood R2-Q5 and R5-J2 along other black Astromech droids and a couple of differently-sized MSE droids. More prominently seen were a few Imperial officers. They included the mustached Colonel Davod Jon — a scout and special forces leader — Captain Godherdt — an elite fleet engineer — and Captain Sarkli, who was an excellent pilot, a successful spy and the nephew of Firmus Piett. Also present were Admiral Chiraneau — a TIE ace and Piett’s personal adviser — and Lieutenant Grond, a Corellian scout who served under Colonel Dyer (who was responsible for the defense of the bunker on Endor). Some TIE pilots were also identified when Vader arrived. Lieutenant Hebsly (Scythe 3) served in the Anoat Sector, DS-181-4 (Saber 4) was the wingman of Major Phennir in the 181st squadron, and DS-181-3 (Saber 3) — nicknamed ‘Fel’s Wrath’ — studied at Prefsbelt Academy. Major Mianda (Scythe 1) commanded Scythe Squadron as he followed rebel starfighters into the Death Star during the Battle of Endor. 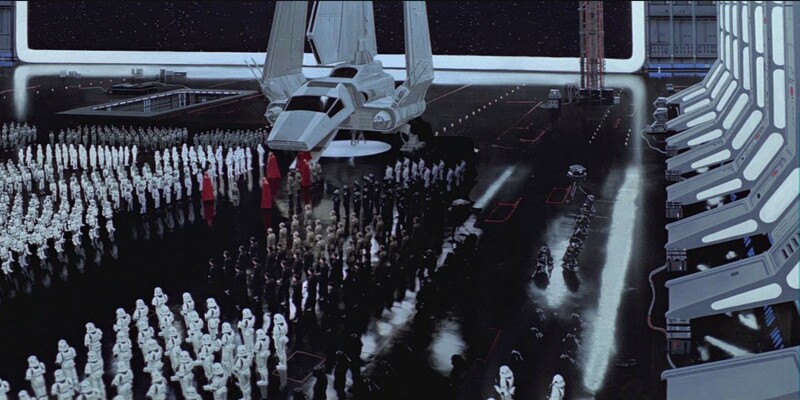 A huge amount of Imperial troops gathered to witness the arrival of Emperor Palpatine. 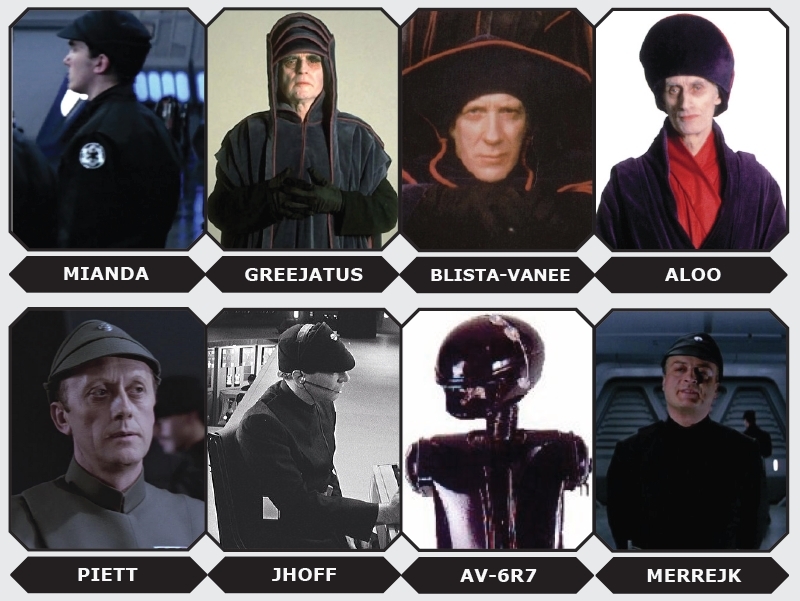 Though the Emperor was accompanied by six Imperial advisors, only three of them have received a proper name. Janus Greejatus became Senator of the Chommell Sector when Palpatine was elected Supreme Chancellor in 32 BBY. Greejatus remained an advisor of Palpatine after his mandate ended. Sim Aloo was the senior political advisor of Palpatine and a member of his inner circle during the final years of the Galactic Republic. 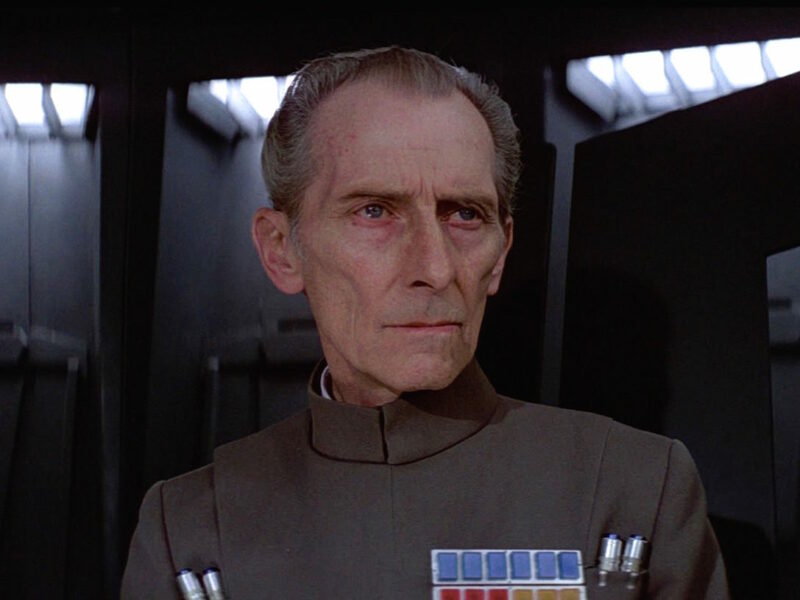 The last known advisor aboard the Death Star II was Kren Blista-Vanee. Myn Kyneugh was one of the Royal Guards leaders who had the task of protecting the Emperor at all costs. Though most capital ships and starfighters from the Imperial fleet were hiding behind Death Star II, the Executor proudly patrolled near Endor and the battle station. Admiral Firmus Piett commanded the Executor during the Battle of Endor. Not that long before the Rebel fleet arrived, Piett witnessed a Lambda-class shuttle, known as the Tydirium, approaching the Death Star. Its pilot requested to deactivate the deflector shield so the shuttle could deliver parts and technical crew on Endor. Controller Jhoff monitored the Tydirium’s trajectory while Darth Vader realized something was going on. Nevertheless, Vader allowed the shuttle to land on the Sanctuary Moon. Working in the crew pits on the Executor’s bridge was AV-6R7, a black MerenData supervisor droid. 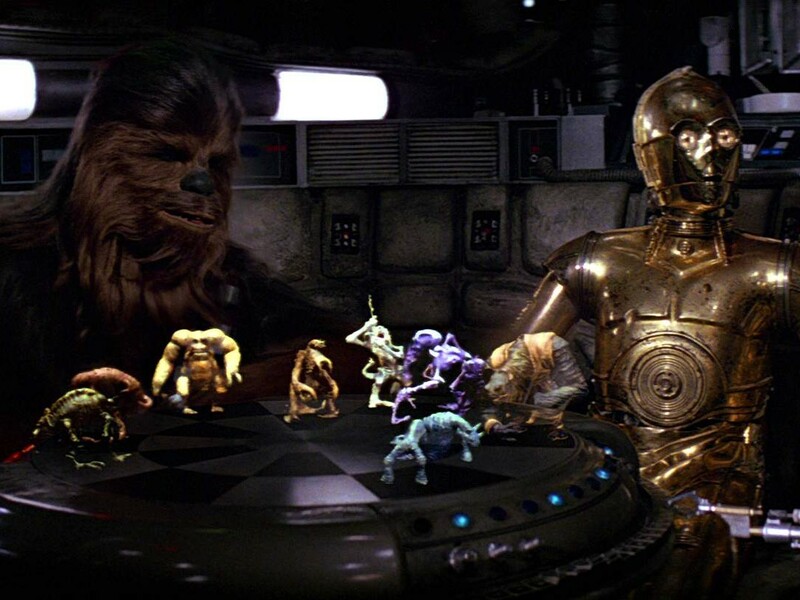 Commander Merrejk and Commander Gherant both participated in the Battle of Endor. Though Merrejk wore a black uniform with no insignia, he was labeled as a Commander. Merrejk informed Piett that the Executor was in attack position when the Imperial fleet followed the Emperor’s order to prevent the Rebel fleet from escaping. Commander Gherant stood next to Piett during the final moments of their lives when Rebel pilot, Arvel Crynyd, crashed his A-wing interceptor straight into the bridge of the Super Star Destroyer. Last but not least, there were three TIE fighter pilots with a name. Major Turr Phennir (Saber 2) of the 181st Imperial Fighter Wing had a brother killed by Wedge Antilles during the Battle of Yavin. 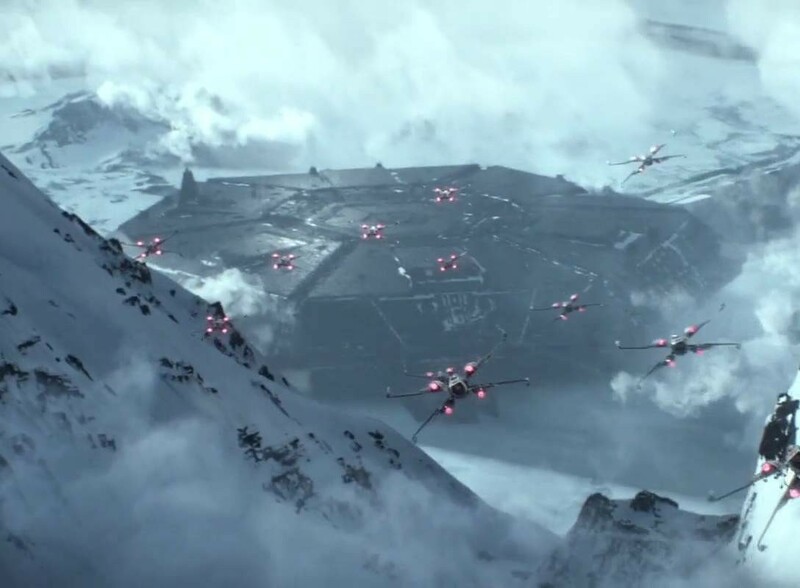 Phennir followed rebel starfighters into the Death Star’s uncompleted structure, but took pursuit of Jake Farrell’s A-wing interceptor before Wedge Antilles and the Millennium Falcon were able to take down the main reactor. Captain Jonus (Scimitar 2) and Major Rhymer (Scimitar 1) were aboard the Death Star II when it was about to be destroyed. Jonus once served with Death Squadron and Rhymer was the leader of the Scimitar bomber squadron. 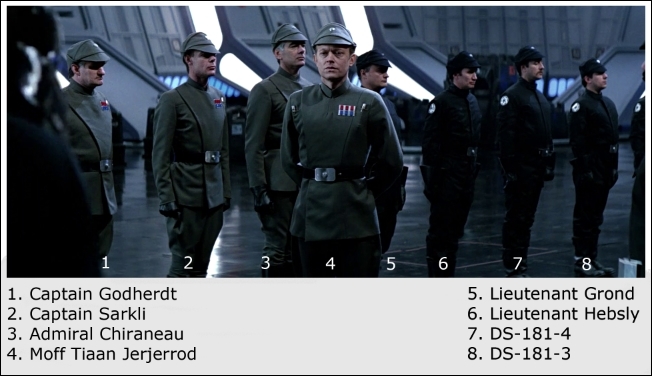 Please do keep in mind that few Imperial officers are wearing the “correct” rank insignia in Return of the Jedi. 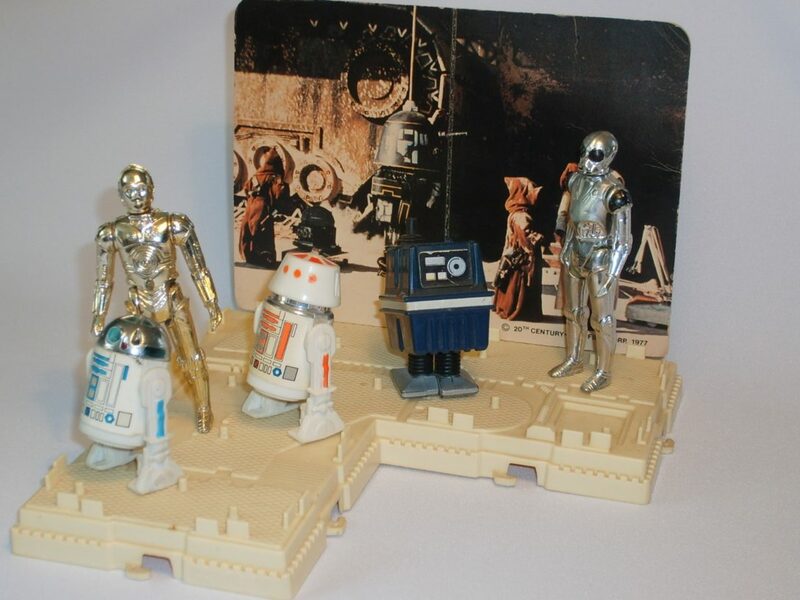 Sources: Decipher’s CCG, Imperial Death Star Owner’s Workshop Manual (2013), Star Wars Return of the Jedi Novelization (1983), Star Wars: The Visual Dictionary (1998), The Essential Atlas (2009) and The Ultimate Action Figure Collection (2012). 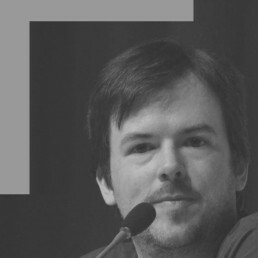 Tim Veekhoven (Sompeetalay) from Belgium is president and co founder of TeeKay-421, the Belgian Star Wars fanclub. He has contributed to Star Wars Insider (Rogues Gallery) and has written four character back stories in ‘What’s the Story?’.